A very young looking Daryl Selby and Laura Hill in these photos. In 2006 the Racketball Nationals saw a large expansion in both number of grades and competitors. 13 grades ran with an Over 35's, over 40's and over 45's men's and women's. 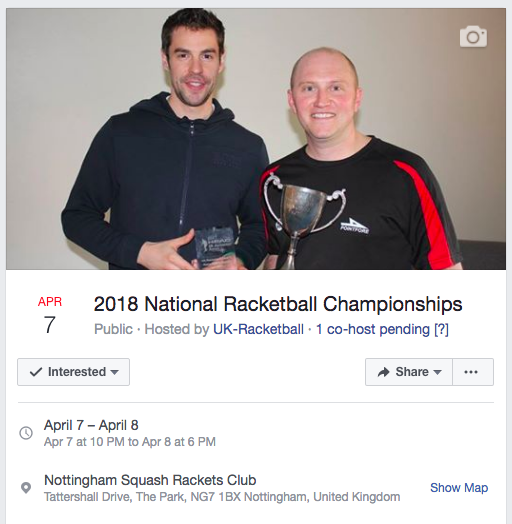 6 years later in 2012 UK-Racketball ran the nationals for the first time. 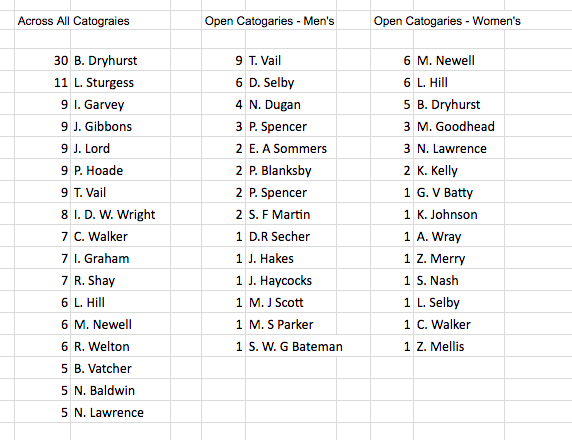 With over 260 entries most of the remaining age group categories were filled in giving the Nationals the look that it has today. Last year the Racketball Nationals saw 16 categories running. Plenty of old names reappeared on trophies as well as some new risers claiming titles for the first time. The upper age groups now run to the Over 75's a great testament to the endurance sport that is Racketball. 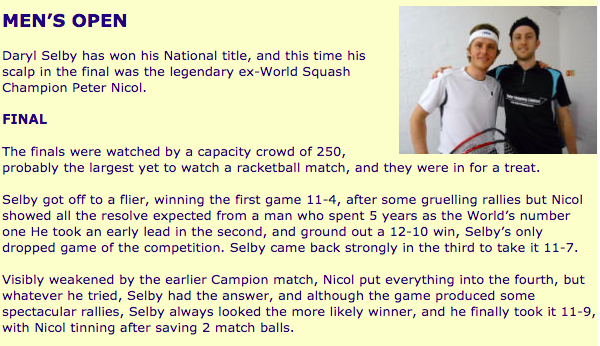 Below is a summary of titles that have been won since the Racketball Nationals was founded in 1984. I have only added players that have won more than 5 titles to this list. For videos from previous National Championships head to the following YouTube channels and have a browse. 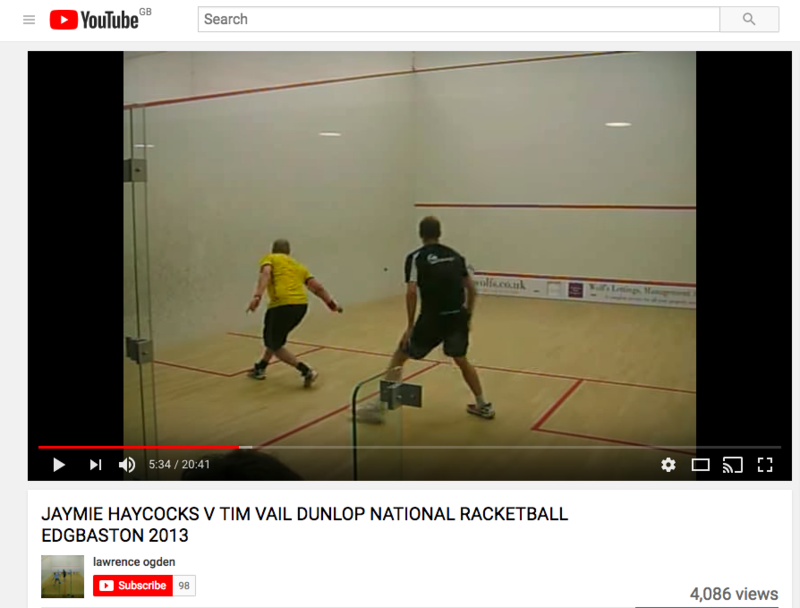 Video courtesy of Lawrence Ogden (head to his youtube channel for all Racketball Nationals videos ). This is the one that got away. Tim Vail being defeated by Jamie Haycocks in 2013! For information on the latest Racketball Nationals follow the links in the "Events" tab.